At Centered Within Yoga, our goal is to help students find a holistic path to healing. We offer programs suited to best meet the needs of all types of students, regardless of age, physical ability, or any injuries or health conditions they may have. We offer special therapeutic programs with highly trained instructors that help injured students learn to heal from a wide variety impairments in a natural, drug free way. Our methods are gentle, patient, and highly effective. Holistic wellness is not something that happens strictly on a physical level, but rather is something that occurs when our mental and emotional energies are in balance with our physical body. We utilize movement, deep stretching, strengthening, breathing techniques and meditation to help balance and harmonize mind, body, and spirit. Our group class setting is private, spacious, and relaxing. We offer a variety of class types designed to meet the needs of students at all levels. From gentle classes designed for healing and relaxation all the way up to vigorous strengthening classes, we have something for everyone. Our instructors will make sure that each student in the class gets the attention they need to improve their alignment and learn how to work with their body to achieve their individual goals. There are many reasons students attend private lessons. If you are too injured to attend a regular class, we have special yoga therapists trained to help you in a gentle, assisted, one on one lesson. Alignment analysis, work on specific injuries or trouble areas, or just the chance to relax and enjoy the benefits of assisted stretching. Whatever your reason, a private lesson is the ultimate, individualized wellness experience! Not just a place to heal but a community. Centered Within Yoga is a place for people of all ages and backgrounds to come together and join in a community of wellness, acceptance, and support. We offer a variety of yoga programs suited to meet the needs of any students, regardless of their yoga experience, physical abilities, or injuries. Through the correct principles of alignment, breath control, asana (postures), and relaxation techniques, we endeavour to help our students achieve a state of complete balance and union of mind, body and spirit. If we are living in a manner which is stressed, tired, and ill, then this is the reality that we are bringing forth into the world. Yoga offers an amazingly effective and holistic method of healing which has been refined over thousands of years of practice, however, it’s benefits grow far beyond just physical affects. As we find balance within ourselves, we begin to find a state of being which is peaceful, compassionate and full of energy and understanding. Although this type of change begins on a personal level, it contributes in the most effective way to the state of our community as a whole. Both Erin and Jim are involved in a variety of different yoga retreats locally and internationally. Some are gentle, relaxing, and focus on Therapeutic applications of yoga, while others are vigorous combined with surfing and adventure. In any case, we pride ourselves on finding unique and beautiful locations with stunning beaches, great food, and good vibes. We’d love to have you join us for one of our upcoming adventures! Erin Jacob has been studying yoga for over 15 years, and founded Centered Within Yoga in 2008. She found her yogic path after sustaining a complex and debilitating injury. She had lost the use of her arm, with a leg that was following the same path. She was suffering from mulitple organ issues and failures. After years of chronic pain and being told that a life surgery, wheelchair confinement, and medication were her best options, she began her search to find a better future for her health and eventually found therapeutic yoga and with it the capacity to heal despite the gloomy prognosis. This amazing recovery inspired her to seek out training near and far to help her learn how to share these healing gifts with others in need. Erin is an E-RYT500 with a specialty in Therapeutic Care. She has treated hundreds of students with a wide range of injuries and health conditions, and has found her true purpose in teaching others about the healing powers which exist inherently within us all! Rachel Jacob is a kind healing soul who hasn't written her bio yet. Why don't you tell her how awesome she is and that maybe she should write her bio. Here's what one of our amazing community members wrote for us in response to Rachel's lack of bio on our website. Thank you Ann for acknowledging how awesome Rachel is! Rachel’s yoga practice takes students on a journey to the strength and intelligence that is hidden deep within them.During her guided yoga poses, students feel their minds clearing and their bodies relaxing. She helps students listen to their bodies and thank their bodies for all the wonderful things they do for them each day. By her concluding “Namaste”, students have gone beyond body and mind, and feel a spiritual connection, and a lightness that frees them from the weight of the outside world. Jen has been practicing massage therapy since 2004, and completed yoga teacher training with Erin Jacob in 2015 . She is a graduate of the 3000 hour massage therapy program at WCCMT in New Westminster, and holds a Bachelor's degree in Health Science from TRU. 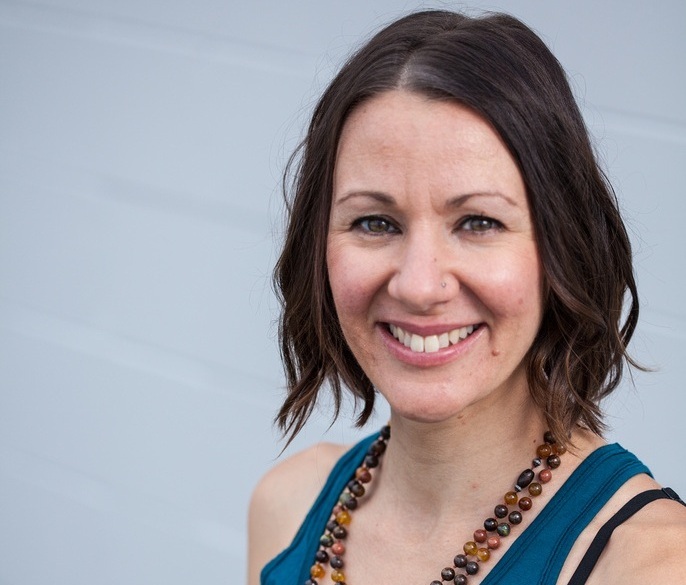 Jen's post-graduate eduction has focused on craniosacral therapy, myofascial release, visceral manipulation, and yoga. Jen's treatments focus on addressing stress and anxiety, along with the numerous resulting symptoms, with an array of techniques to help people achieve their health and wellness goals within a peaceful and grounded setting. Jim stopped resisting the powers of yoga and began his journey 4 years ago. After 25 years of training in traditional martial arts, and 20 years married to Centered Within Yoga's own Erin Jacob, his initial words to us about yoga were 'I don't need another hobby.' Although uninterested in pursuing yoga initially, he supported Erin in her path to healing and helping others. He personally built all three of our studios, and is the creative source behind their design and ambience. Afters years of working as a stone mason he hit a point where his back was too injured to stand so he finally decided to bless our therapeutic class with an appearance. His injury was so sensitive he could barely layover a folded towel let alone a bolster. Jim quickly realized the benefits of taking proper therapeutic care of his body and was back to all his physical activities in no time. He began to explore Hatha, Power, Rocket, and Acro Yoga completing teaching certifications for each. He is now working on the more complex certifications for teaching Therapeutic Yoga at Centered Within Yoga. 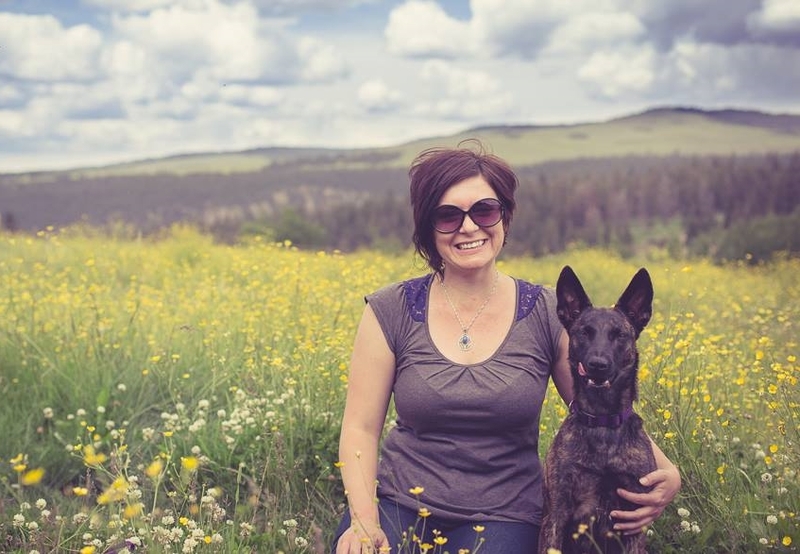 Amy is passionate towards helping people heal and connect with their body. Besides yoga, Amy also loves dancing, musical theatre, and being a mom. Expect to find a relaxing yet fun atmosphere with a whole lot of love and care everytime you find yourself in her class! Amy complete an additional 2 years of one on one training with Erin Jacob in Therapeutic Yoga after receiving her 200hr yoga training in Nelson BC. She is always learning from the brilliant teachers and students at Centered Within. She is grateful to be part of the team. Stef believes in personal growth as a way of life and not just a destination. Always learning and finding inspiration and than sharing this journey with her students. Stef completed her 200 hour teacher training in 2014 and has continued to pursue area specific training to fine tune her skill and experience to share with her students. She was first brought to Centered Within Yoga through her love of Acro Yoga, but has since discovered the healing power of Therapeutic Yoga and has pursued training and teaching in this area. Having fought for her own health with the battle of Lyme disease, Stef has first hand experience of living with a chronic illness. Striving to teach from a place of experience, her challenges with health and body have given her perspective to connect and teach from a place of kindness, love and acceptance. She truly believes that we have the power to repair our bodies and to make changes to create more ease in our lives. She wants to lovingly and playfully rock our boats and get us out of our boxes. How can we shift our perspectives, do things differently, dig deeper and find new layers? Stef will take you on a journey to identify and dissolve barriers within your mind and your body. Her heart is warm and desires to make yoga accessible to all bodies.